﻿﻿﻿Welcome to "Mutts 'N' Mischief"
Covering all following areas for One to One sessions in your home or area of your choice!! Tasha is a Dog Trainer and Behaviourist based in Skegness, Lincolnshire. She currently offers Dog Training in both Private sessions (where I travel to you in your home) and group Classes in and around the Skegness area. She specialises in working with Dogs with aggression issues be it, aggression towards other Dogs or Humans or even both. She has no agenda, she is not here to make you work in a way which does not suit you or your dog. Tasha will work with you in a way which suits both you and your dog. 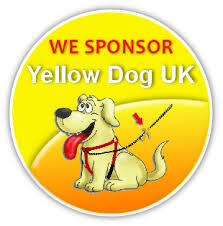 Tasha specialise's in Aggression, be it Dog to Dog aggression or Dog to human Aggression and sponsor Yellow Dog UK. Tasha works with people from all backgrounds and has no prejudices, she works with people who have disabilites or problems with making classes for various reasons. Tasha can deliver a Class session to you in your home and work with you in a Class style in for whatever reason you cannot make the Classes. Tasha's aim through her Services is to help you and your dog to be bonded, happy and comfortable with your dog and so that Rescue Centres and Rehoming do not become the only option you have left. Tasha works with all breeds and ages and Puppies are welcome to join classes as soon as they have had their 2nd Vaccination. Tasha is fully insured under the Pet Plan Sanctuary Insurance Scheme, I am Certified and Accredited as well as a fully qualified Behaviourist. She is happy to show you her Certifications and carries hard copies of Certificates with her. She also regulary attend Seminars to keep up to date from World Famous Dog Trainers and Vets as well as Schools. Tasha has a Spaniel cross Diesel and 2 Czechlovakian Wolfdogs Koda and Django, all titled in Trick Training with AKC. All 3 Dogs are used for demonstrations as well as working alongside Clients Dogs. Tasha works with all breeds ranging from Chihuahuas, Shih Tzus, Terriers to Collies, Labradors, German Shepherds, Anatolian Shepherds, Wolfdogs, Huskies, Northern Inuits... Tasha will never turn a breed away and can work with them all. Tasha is also a fully qualified Microchipping agent qualified with Micro Id. As well as achieving high distinctions and Merits for her Qualifications she has also had mentorship from various Dog Trainers with varying methods for the last 15 years, so she is not just a book worm, the hands on experience that has shaped her into the Dog Trainer and Behaviourist she is today, delivering you the best service. Tasha began as a Dog Walker as a Teenager and her Dog Training has spiralled from there, she use techniques to meet the dogs and your requirements, she does not follow a specific training agenda, she work holistically with the dog. Tasha has worked with the Kennel Club, with Rescue Dogs (including home checking, volunteering for Rescues as a Recognised and Certified Dog Trainer for them) , Schutzhund and Protection. Tasha still today works with working Dogs, such as Service Dogs, Gun Dogs, Protection Dogs and Medical Alert Dogs and various Vets. Tasha also works with the Police and Dogs who have had ASBO Orders put on them by the Police to ensure that they are not a danger to the Public and to rehabilitate them as well as guiding the owners. All this experience helps her to turn her hand succesfully to any Dog, pup, rescue or older. As a Dog Trainer Tasha feels she will never stop learning, learning from Clients and Dogs alike and this is why she continues to study and seek out new courses to always be a better and up to date Trainer no matter how much experience she has. 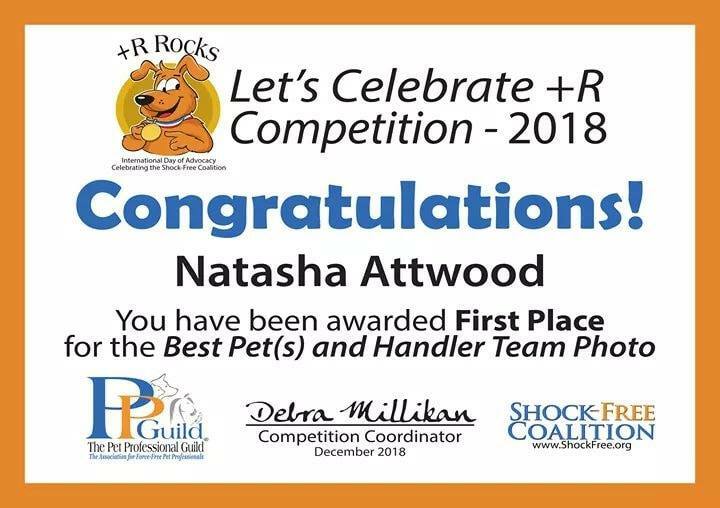 Tasha has also been awarded best business of the Year 2018/2019 by both edogadvisor and Bark.com as well as being awarded First Place for Best Pet and Handler by the Pet Professional Guild. One last note Tasha cannot stress enough only hire a Dog Trainer who can prove their qualifications and that they are fully registered with a recognised body and also that they are fully insured. Interview a potential Dog Trainer. Ask where they have worked. Their experience. Whether what they say can be backed up. Read reviews about Training if they claim to be a Trainer and not just from folk on their friend list. Apologies if this sounds harsh. But Tasha has been called in many a time to resolve issues after people have not only spent an unjustifiable fortune but also have had their Dog messed up all because someone thought they could give Dog Training a shot. Those of us who are professionals are saturated in Dog Training. It's not a whim or a fad or to make cash. It's about delivering a 120% service to you and your Dog. And no matter what anyone tells you Tasha has NOT mentored anyone to be a Dog Trainer. Even if that person who claims so has attended a few classes or a few one to ones. Miyagis Dog Training is not responsible for anyone not in the Team or another business. The insurance certificate will show this. Miyagis is completely dedicated to you and your Dog. Whilst Tasha loves her chosen career, it is still the way that she earns her living and as such have to charge money for her time and expertise. Tasha's rates are very reasonable especially for people with such experience and academic qualifications. As a Sole Trader it is important that I am able to continue my work to help your Dogs. Whilst Tasha is aware that many of you do not cancel or make arrangments via cancellations some have not. Thankyou for taking your time to read this.